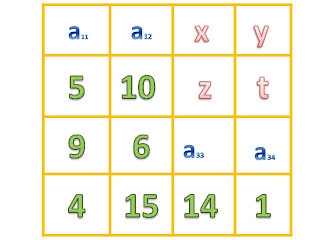 JUEGOS DE MATEMÁTICAS: CUADRADOS MÁGICOS.COMPLETAR CUADRADOS MÁGICOS. EN EL SIGUIENTE CUADRADO, EL NÚMERO MÁGICO ES 60. 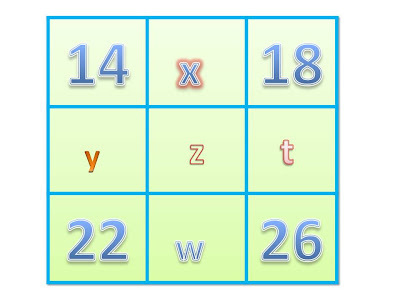 CALCULAR x,y,z,t,w, PARA QUE EL CUADRADO SEA MÁGICO.